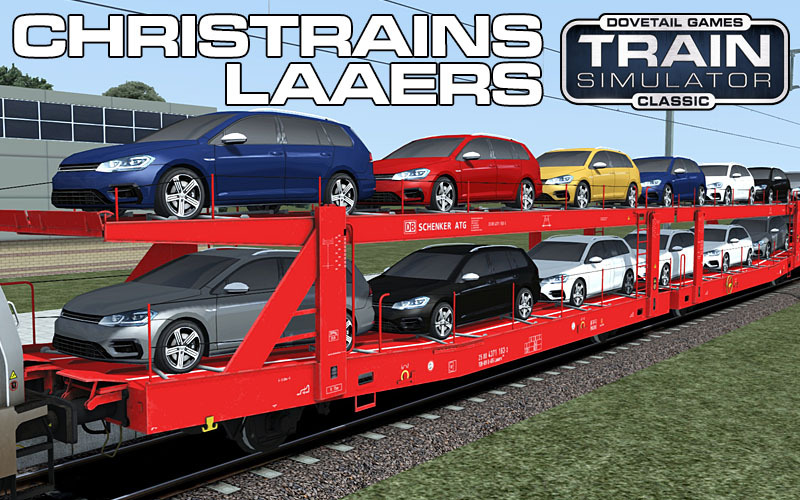 LAAERS car transporter wagon now for sale. Subscribe to the mailing list for occasional updates and important announcements. 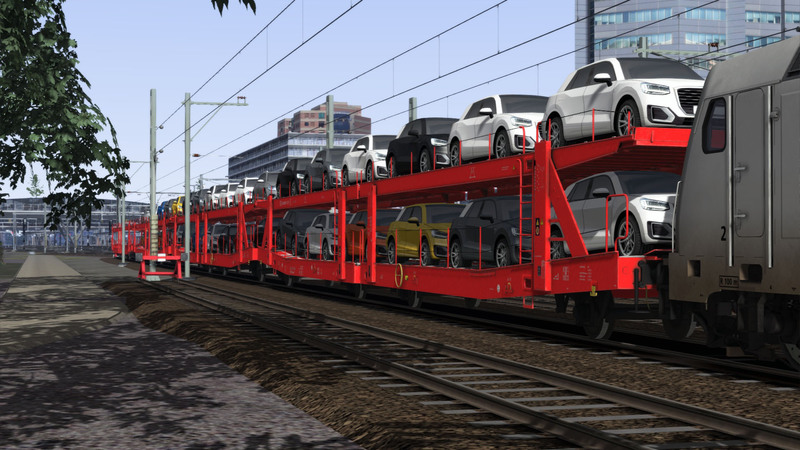 A small collection of LAAERS car transporter wagons. 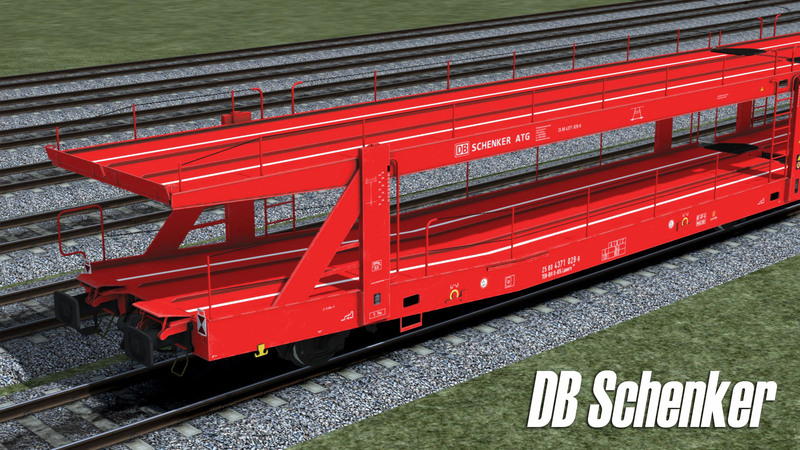 Comes in two variants - DB Schenker and SITFA. Both variants have a 'forward' and 'backward' version. For the cars to all point the same direction, a 'forward' wagons must be paired with a 'backward' wagon. 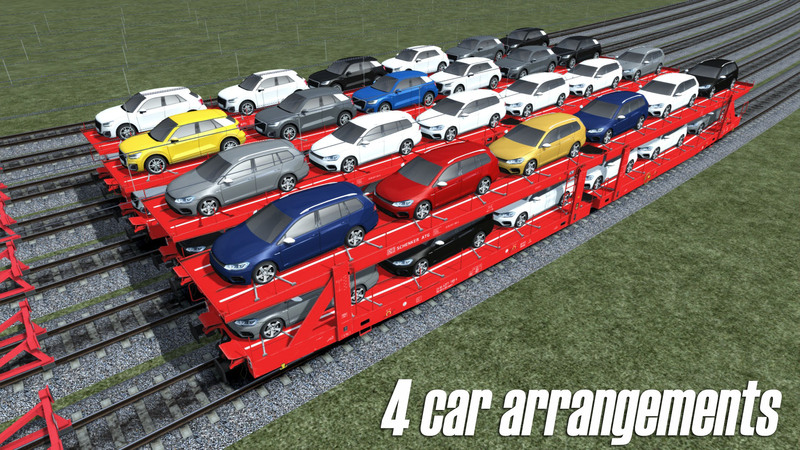 Each variant has 4 possible car arrangements (A/B/C/D). 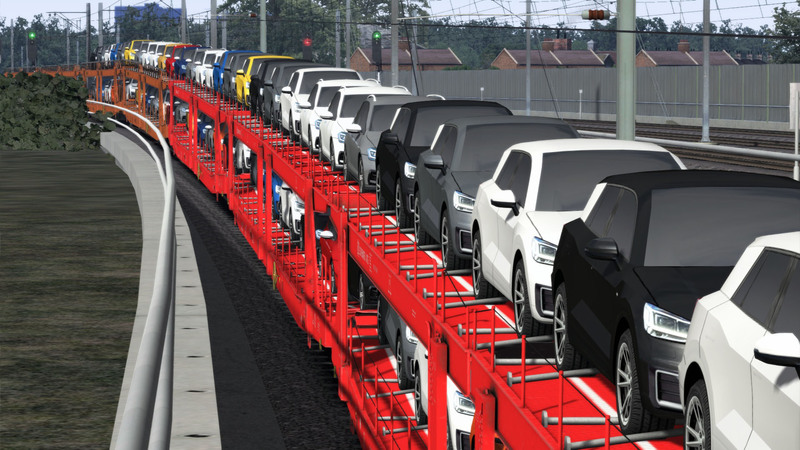 Tick the 'cargo' box in the wagon properties when creating consists to see the cars.(Knowledebase). 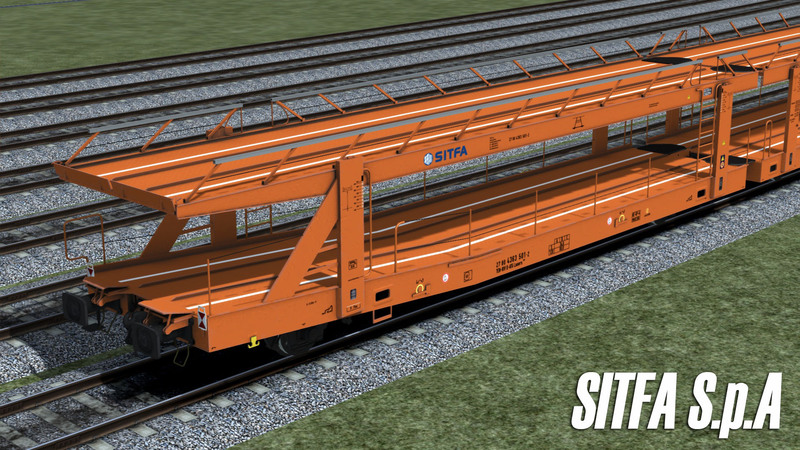 Look for 'CT LAAERS' in the wagons list to find these wagons. Can be used in your own scenarios, and is available in QuickDrive. 'Expert' control mode. Turn off simple controls. 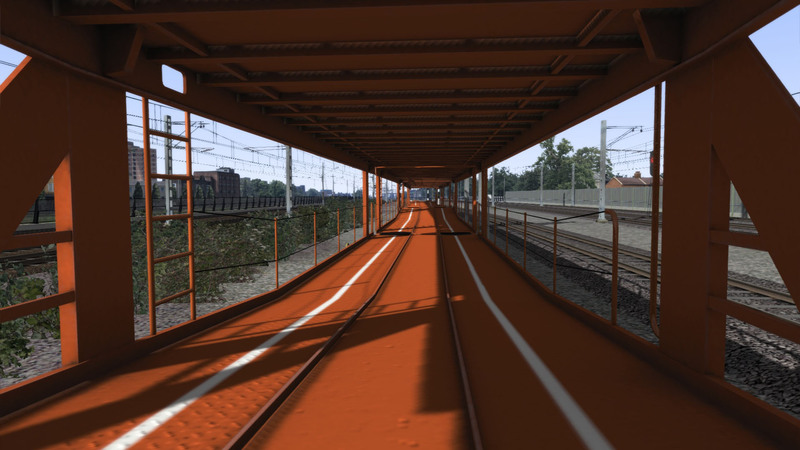 Product(s) will not work in Train Simulator 2012, 2013, 2014. All site and contents ©2001-2018 Christrains™ and/or Chris Longhurst unless otherwise stated. The NS logo is the property and trademark of Nederlandse Spoorwegen. 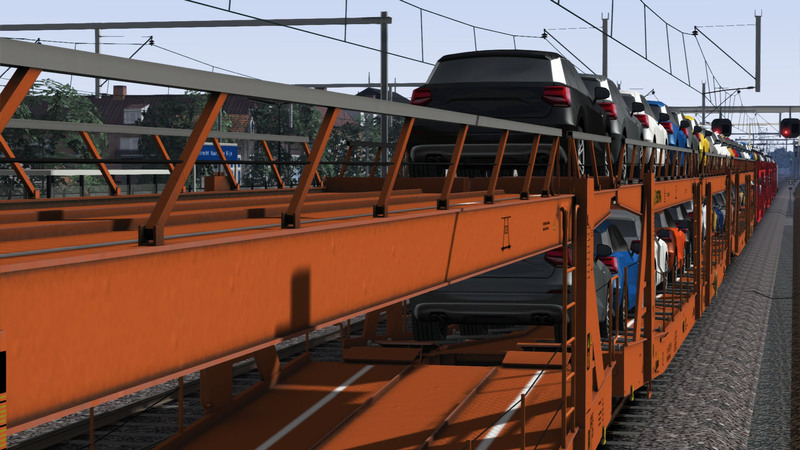 ChrisTrains is not affiliated with or endorsed by Nederlandse Spoorwegen.